There are many different ways of taking cannabidiol for your health benefits. There are capsules, tinctures, etc. With e-cigarettes becoming very popular lately amongst cigarette smokers, the use of vaporizers has also branched out into our world of natural health. They are now counted as one of the convenient and beneficial ways of taking CBD. That being said, what should we know about the e liquid that goes into these vaporizers and, subsequently, our lungs? In this CBD e liquid review, we will first take a look at what e liquid is and the potential health benefits. Then, we will go through some of the different flavors and brands. Finally, we will talk about why it is a good choice for someone to add to their regimen. Using vaporizers is an efficient way of getting the great health benefits of CBD quickly. Simply defined, e liquid is the liquid substance that goes in your vaporizer. When you get your vape pen started, the atomizer will kick into gear so that you can then inhale the vapor of your e liquid. CBD e liquid, of course, differs from e cigarettes, and the payoff is way better in terms of the health benefits you’ll be getting with cannabidiol. 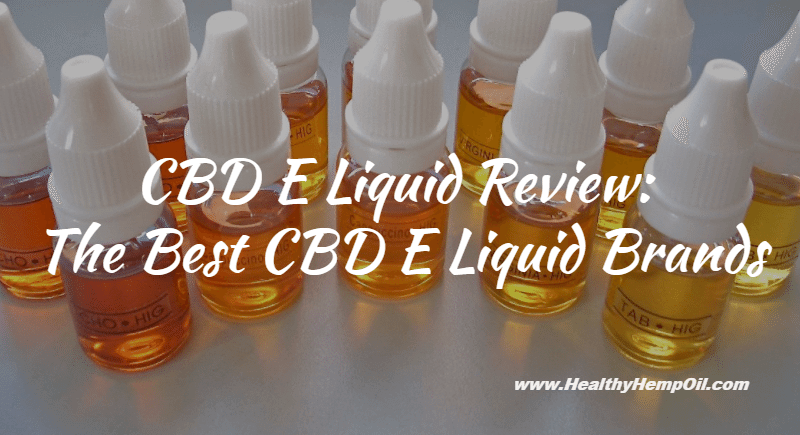 Although this is a CBD e liquid review, CBD itself is a great remedy for many ailments across the board. There are studies upon studies about the different remedial health benefits including relief from inflammation, chronic pain and anxiety to name just a few. Doing your own cannabidiol research is worth the extra minutes just to find out what is possible for you. CBD in e liquid form is also an extra step in the right direction simply because the product is inhaled. When CBD is vaporized into your lungs, it will move more quickly and efficiently through your body than if it were orally ingested. 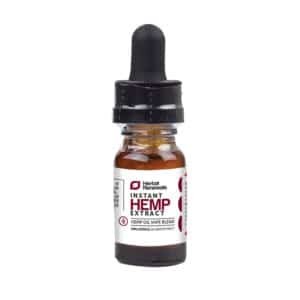 Another great asset of CBD e liquid is that there are little to no traces of THC, meaning you don’t have to worry about the side effects of getting “high” with vaping. Now that you know a bit more about e liquid and its benefits, it is time to look at some of the different products you would want to consider when purchasing e liquids. 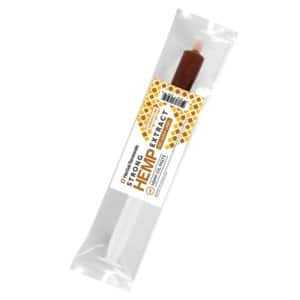 Two of the most prominent e liquids, which are available at HealthyHempOil.com, are Zero and Alternate Vape. Both of these e liquids come in great flavors, and they each have other great benefits so that you can decide which one is truly for you. When researching what goes into e liquids, keep in mind that CBD is not actually the only thing in it. 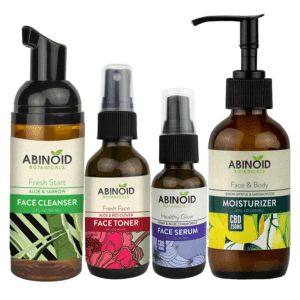 You will normally find ingredients like vegetable glycerin and propylene glycol. These two ingredients are called carrier liquids and help to dilute the CBD to the desired strength. They can be vaporized at low temperatures and are relatively neutral tasting, making them great carriers. Zero is a brand that is really tailored to people genuinely looking for relief and who have concerns about potential side effects. This is a product with which you would not have to worry about that, as Zero contains absolutely no THC. This is because Zero’s e liquid is made from a CBD isolate, making this brand one of the best products out there in terms of safety and potency. Zero also comes in many delicious flavors like vanilla, chocolate, cinnamon and even coffee and butterscotch. Alternate Vape is genuinely one of a kind in that, when you order this product, you can customize it to suit your specific needs. 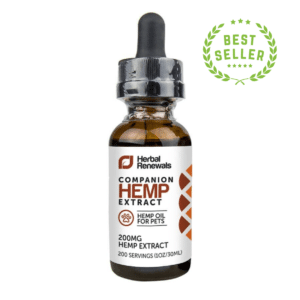 You will be choosing from a range of CBD doses like 50, 100, 200 and 300 mg. You will also be choosing from a unique variety of flavors like blue cotton candy, citrus, strawberry and margarita. Alternate Vape, of course, contains elevated levels of CBD with little to no traces of THC. Unlike Zero, which is made in the USA, the cannabis from which Alternate Vape gets its industrial hemp is cultivated in Europe, then shipped to us. It is still, however, held up to the most strictest quality standards by federal regulation. CBDliquid.net has a great review on CBD e liquids in general. The article explains not only CBD as a revolutionary medicine but also some of the reasons why taking it in an e liquid form is a viable alternative for smokers. Having vapor fill your lungs instead of combustion is, of course, a definite plus for your health. Also, CBD is known for helping to reduce stress and anxiety, which can be a big obstacle for those finding it difficult to quit. Another plus is the convenience this provides for the people around you. You would not have to worry about odor or transmitting second-hand smoke to anyone who is in close proximity to you. The article also talks about the natural benefits and lack of side effects. It is definitely worth a read. Hopefully, this CBD e liquid review helped answer some of the questions you might have had on e liquids and vaporizing. You are now aware of some the great health benefits not only of taking CBD but also of e liquids and vaporizers. 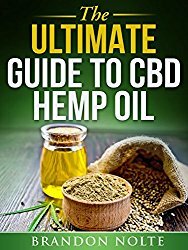 You are, of course, not limited to the Zero and Alternate Vape products mentioned in this article, but keep in mind that HealthyHempOil.com does its best to provide the public with the best in products and accurate information. What are some of your favorite CBD e liquid products? Feel free to share your preferences with us in the comments below. Stimulate Hair Growth with Hemp Hair Products!